Evidently, the film starring Kangana Ranaut and R. Madhavan shook the nation by its shoulders, for it offered a little something for everyone. Aanand L. Rai, behind the lenses, is in the habit of taking home all the laurels and accolades. 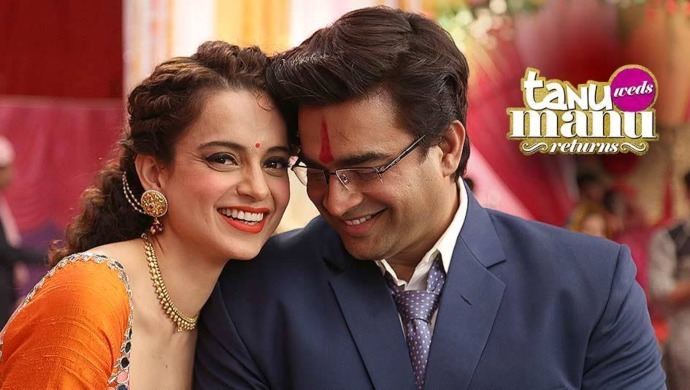 The filmmaker treated us to a phenomenal experience with Tanu Weds Manu in 2011. Four years later, he created the same magic in Tanu Weds Manu Returns (2015). The romantic-drama earned Kangana Ranaut a National Award, proved Deepak Dobriyal aka Pappiji’s mettle as an actor. It also marked Jimmy Sheirgill’s best performance to date, escalated Mohammed Zeeshan Ayyub in the big league and gave us a chance to ogle at the dreamy R. Madhavan once more. In short, TWMR is a tried and tested formula to making a blockbuster success for it recorded some fantastic figures, too. Evidently, Tanu Weds Manu Returns shook the nation by its shoulders, while it offered a little something for everyone. Your ribs would hurt from the endless laughter, Kangana breaks hearts and a refreshing take on relationships is just the right spin to how we now view love/romance. With all this and more, Himanshu Sharma’s script is a delectable and beautiful move to trash all marriage myths. So, why not pull them out from the film and put it all in the open for you all. Love is love. Whether it is found the arranged way or not, if it has to fly out of the window, the flight is certain. I mean, all the I’d catch a grenade for ya, throw my hand on a blade for ya emotion that Manu shows in the first part is hard to catch a glimpse of in the sequel. As Tanuja points out in the opening scene, barring a few raccoons and pigeons there is not a soul to be found anywhere near their house in London. While most Indians are waiting for their big ticket to leave the country, the homesickness and loneliness can be pretty taxing. The adversities come with a cost to relationships, a non-starter. Myth #3: Once you hit the rough patch, it’s a dead end. Tanu went bananas convincing Manu to get back with her, but the man suited up to marry her lookalike aka his new-found love Kusum. But then came the twist! And they lived happily ever after…until the next fight! Myth #4: Troubled marriage makes way for extra-marital affairs or new love. Come effing on! Don’t we know why Manu loses his heart to Datto in the first place? Because she reminds him of Tanu. And no matter how many legendary chapters Tanuja tries to revisit, the very news of Manu’s second marriage shakes her to bits. It ain’t that easy, people, it just ain’t. Myth #5: Artificial Insemination? Totally Cool. It is easier said than done – and Indians, whole lotta fuss and drama are like oxygen and water to them. If the baby is not produced through a natural process – parents are damned, and the child is shamed! Thus, it comes as no surprise that Jassi gets mad at Payal for the artificial insemination thing. He comes around to terms of acceptance later though. Love triumphs, you see. A still from Tanu Weds Manu Returns ft. Swara Bhasker. Myth #6: First love is the only love. Rest all are distractions. To be honest, emotions are just chemical calculations. Poor heart is blamed for ‘beating’ for someone whereas it is the brain playing tricks, thanks to hormones. So first, second, third or twentieth – which one doesn’t matter if it is true love! Raja Awasthi hasn’t even become a groom once, doesn’t that explain? Myth #7: Exes = Villain. The so-called villain is awaiting his turn to ride a horse in his baarat when Manu Sharma falls in love with his fiancée, again! But the new dharam-karam lover lends a helping hand in festivities and puts sense into Manu’s pea-sized brain. Not all exes are vying to steal your lover! Myth #8: One wrong move and your parents pull back support. Indian parents, I tell you. Almost everyone across the world knows no bounds when it comes to supporting their offspring. There may be exceptions, but Tanuja’s parents don’t fall in that bracket for sure. Meanwhile, Manu’s mom and dad stand by him during his second marriage, regardless of whether they like it or not. Not all mothers-in-law are descendants of the Hitler camp. At least Mrs. Sharma wasn’t. Despite Tanu leaving Manu in the mental asylum, breaking off the marriage with him and misbehaving with his parents – she somehow wants him to be with her. Remember how she offered her a painkiller when Tanu was upset? As hilarious and sarcastic the movie is, it’s a definite that Tanu Weds Manu Returns is also packed with valuable life lessons! For those of you who have watched the film, we’d love to hear your thoughts on the myths and stereotypes broken by the movie. Share them with us in the comments box below. 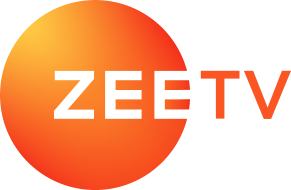 In the meantime, don’t forget to catch the latest blockbusters like Simmba and Uri: The Surgical Strike on ZEE5.